Paul Borg is a passionate and knowledgeable Re/max agent, who has an extensive background in contracting and business management. Paul was born and raised in Toronto and has lived in several corners of the GTA, resulting in a great love and knowledge of Toronto central and surrounding GTA. Coming from a family with 2 brothers who are also realtors, it seemed like a natural transition to start a real estate career after having spent more than 2 decades owning and managing a successful commercial and residential contracting business. Paul traveled extensively while working in commercial contracting and when he felt it was time to stay closer to home he evolved into more residential contracting. After years of successfully running his residential contracting company, he handed over the reins of the company to a long time associate to allow him to take on his new endeavour of becoming a Realtor. With encouragement from his experienced siblings and a passion for residential real estate Paul started his career as a realtor in 2008, and has loved bringing all his knowledge and expertise about construction into all his experiences with buyers and sellers. Over the years Paul has honed his knowledge of GTA Real Estate and has recently downsized and settled into the area of his childhood roots in the Junction area. Paul has owned and renovated many homes over the years and has a keen eye for potential that properties have that may be overlooked by some. Also he has valuable input as to what improvements will realize return on investment when preparing homes to sell. Paul has earned many achievement awards since beginning his career, but he feels his greatest reward is having the satisfaction of knowing he has done the best possible job to negotiate for his client’s successful outcomes when buying or selling a home. Paul is also a passionate traveller which has recently led him, along with his wife, to become home owners in Costa Rica. 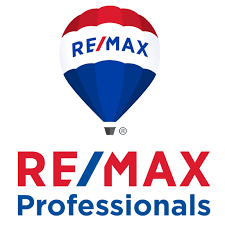 During the time that Paul and his wife have spent in Costa Rica they have become very excited about real estate there as well and have become referral associates to the Re/max team in Playa del Coco, giving them both great satisfaction in helping clients to explore owning international properties and owning a piece of paradise. Paul’s passion for people, his knowledge of many aspects of real estate ownership/investments, and his outstanding negotiation skills make him an extremely valuable agent to team up with for any of your real estate needs! Paul’s clients always receive outstanding service, incredible results, and the least amount of stress during the process! !